Here's graphic artist Benjamin Sjoberg's chilling piece of concept art of 'The Primordial', an ancient being that can be found in the Forerunner books written by Greg Bear (see Halo: Cryptum, I thought it was a great read). Benjamin said of his work "The looming menace featured in the Forerunner trilogy by Greg bear - the Primordial, a.k.a. The Timeless One, The Captive, The Prisoner of Charum Hakkor. Did my best to live up to the epicness inherent to its many names." 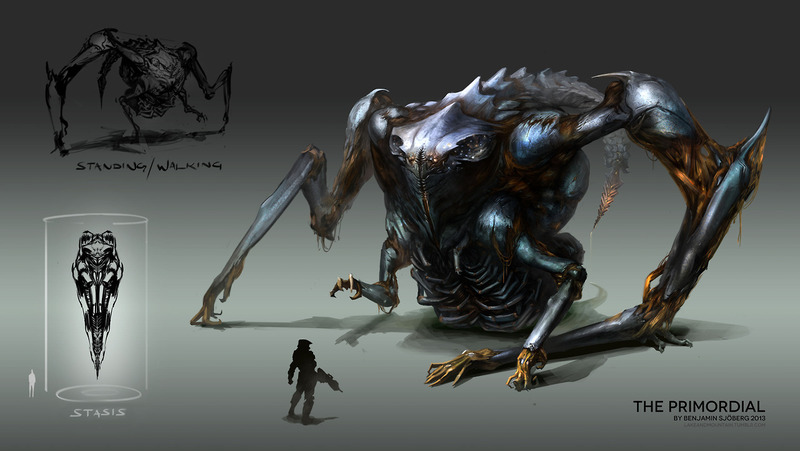 Check out his tumblr for more Halo Forerunner design goodness.